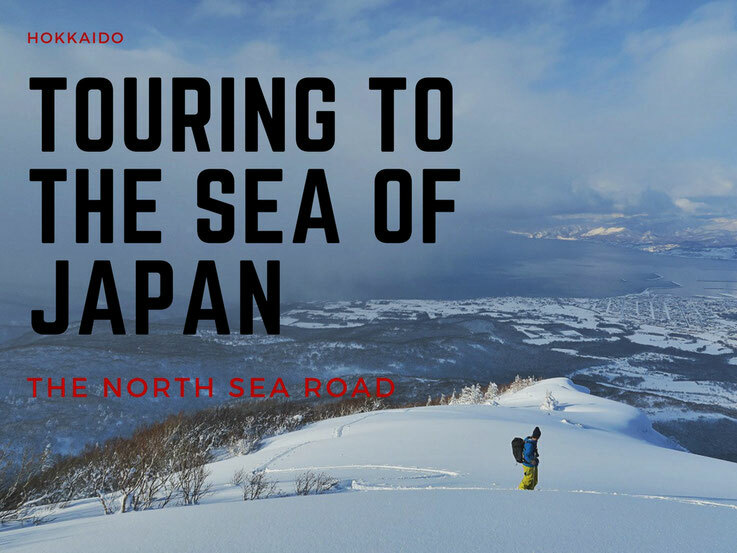 Hokkaido was once called 'Ezo' but took the name of 'Hokkaido,' or 'The North Sea Road.' Pioneer settlers came from the mainland of Honshu at the end of the 19th Century, for a new beginning, seeking their fortunes. There's was a journey across the ocean. For two of our clients, theirs was a journey to the ocean. 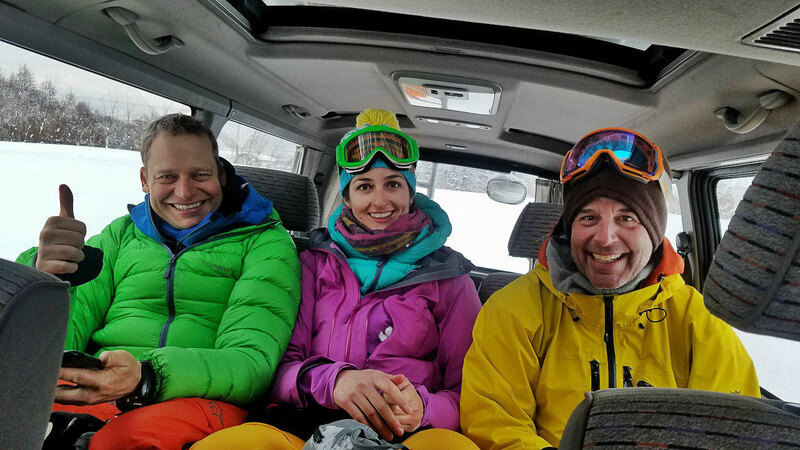 Robert and Karenina were clients from Switzerland with us for ten ski days. Their last day would be touring half of the Annupuri Range with guide Stephane to Iwanai which is a small fishing town on the west coast of Hokkaido. Robert had been under the weather with flu like symptoms, and when we went to pick him up he was masked like many Japanese when they are sick. It wasn't a good sign, and despite having difficulty sleeping the previous few nights, he was stoic enough to undertake the traverse. Our mission for the day was a lot easier, and that was simply to transfer their luggage to their destination. They would be spending their last night in a traditional Japanese hot spring ryokan that overlooks the ocean. 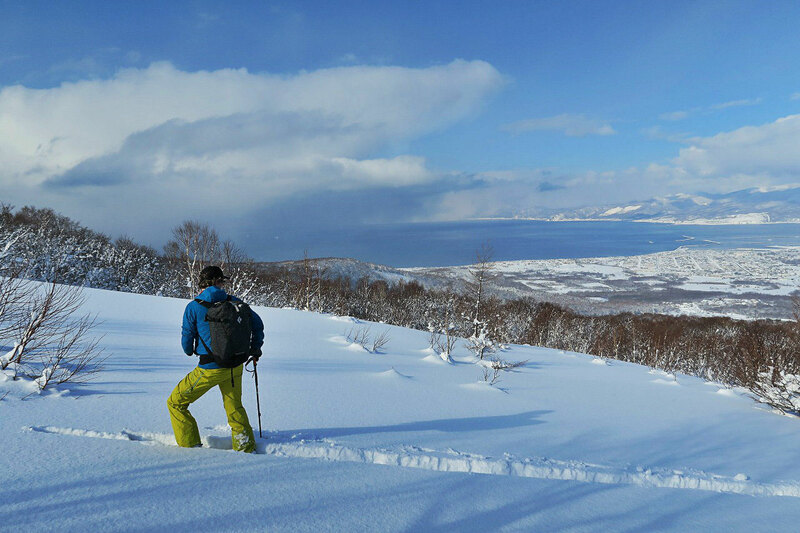 Not wanting to waste the opportunity for some good turns in a stunning location ourselves, we started ascending from the ocean side from midday. 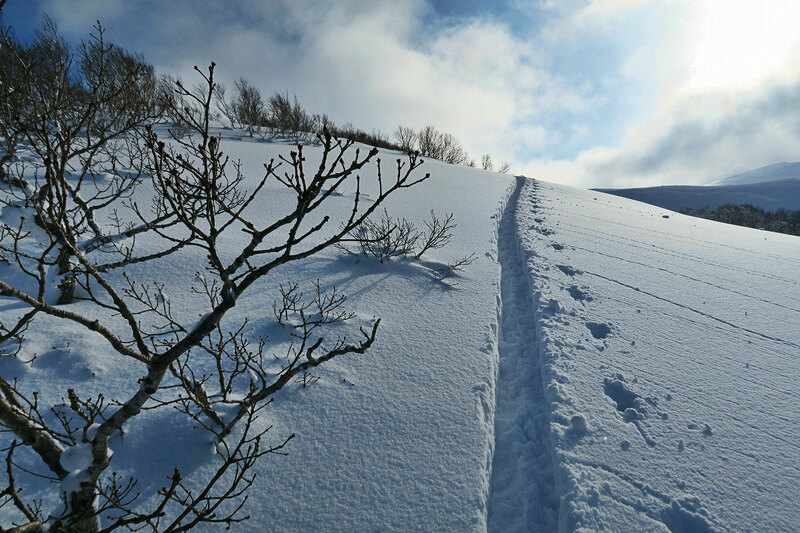 The previous day had been one of the deepest powder days of the season in Niseko and with a further 20cm overnight, and the sun shining, it was destined to be a very good day. By the time we had ascended the summit, Robert, Karenina and Stephane were just on the other side of the ridge, readying for their descent. Stephane had apparently toiled on the leeward side of the range in thigh deep powder before the travel became easier switching to the seaward side. The north facing descent provided for some great turns. All the better with a hot spring waiting at the end of the day. 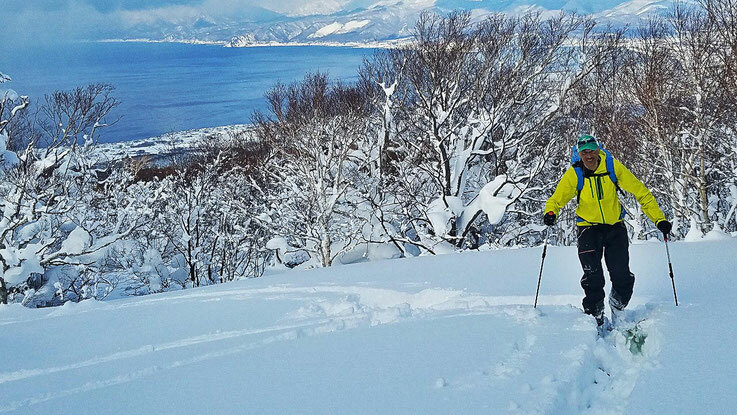 It was a fitting finale for Robert and Karenina's ski trip to Hokkaido.